– This episode boasted a WWE World Heavyweight Championship main event between Champion AJ Styles and Dean Ambrose. The opening video wasted no time hyping this huge match. Plain and simple stuff. Oh, there’s that theme we love so much. – We’re so over this Randy Orton-Bray Wyatt feud. This match needs to happen already. We can only stomach so many promo exchanges about fear, sheep and snakes. As for the exchange that opened the show with Orton and Wyatt, it was more of what we’ve previously seen. Orton looked casual in sweats and a tank top. Guess even he has lost his enthusiasm these days. Wyatt cut a fog promo that brought up “Hansel And Gretel” and challenged Orton to find him. Mysterious stuff, yet so vague. Why did Wyatt have an hourglass exactly? We already know Orton will find him. Ugh. – Ambrose’s backstage promo provided main event hype as he downplayed his victory over Cena as something of “old news.” Probably meant more as a rip on Cena than anything else, but still, why use it as a chance to tell Styles, “Oh, that’s not a big accomplishment”? The cutesy Ambrose began to creep back with his “PG Show” line but at least the “Guy Who Is Gonna Cry” line was something echoed throughout the show, right down to the main event. 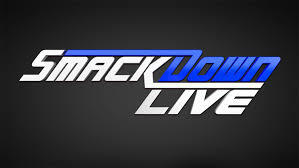 – With WWE SmackDown Tag Team Champions Heath Slater/Rhyno taking on The Usos at No Mercy, we had some more hype for their bout. They slapped together an Eight-Man Tag that also included American Alpha (who had their own agenda against The Usos) and The Ascension, because we needed another heel team with The Usos. A big plus for The Usos having their music finally changed to fit their new look. Some nice action, as the crowd was especially hot for Slater/Rhyno. A shorter match than expected, but a smart finish as we saw The Usos get the pin over Slater as they targeted his knee and made him tap out to the Tequila Sunrise submission finisher. AA also fit into the match, but again, the focus was on the NM match. Usos get momentum over the Champs. – We learned John Cena would be on commentary for the main event with his backstage promo that also addressed Ambrose’s earlier comments. He commended Ambrose for having the guts that Styles lacked, but he claimed it wouldn’t matter who won here, because NM would be the night where he makes history and becomes the 16-time World Champion. Usual Cena promo. – Orton’s Wyatt Scavenger Hunt only got more campy, as we saw him backstage in the dark, presumably near the locker room area. He turned an arrow on the wall to the other direction and walked off, only to hear a creaking sound and found the arrow turned back. In the background was Erick Rowan in a sheep mask. No, they’re not done yet. Wyatt cut another fog promo that hyped some sort of interaction. Lucky us. – The Carmella/Natalya-Nikki Bella/Naomi match was another clash of the separate women’s feuds. They each cut separate pre-taped promos where they addressed each other’s opponents. The Glow versus The Real Women. That’s about right. Anyways, the bout left something to be desired with some clunky spots and timing issues. Carmella and Bella did have a true “blood feud” feel to it at least, so that carried our interest through most of it. The bout held itself together more towards the end and we liked that Carmella got to pin Bella clean, to give yet yet another reason to brag. – The backstage segment with Orton and Rowan continued this ridiculous storyline, as this time, Orton came across several doors with red words on them like “I Am A God,” “One Way Out, Choose Wisely” and “Predator Or Prey.” The only cool part of it all was the Orton cardboard cutout with the eyes glowed up behind the first door Orton chose. Eventually, the “catch” was that Rowan was behind one of those door, unbeknownst to Orton. Of course, that camera angle was from Rowan’s point of view, so what the hell. Orton closed the door, as it was revealed that he locked Rowan inside the dark room. – The WWE Intercontinental Champion Miz and Dolph Ziggler have feuded plenty of times over the years. Due to Miz’s rampant Hollywood personality and dominant IC Titles reign and Ziggler’s hard-lucked year, this feud had the makings of something special. With this show placed in Cleveland, Ohio, both their hometowns, there was a cool “Champion’s Homecoming” segment as Miz came to a ring covered in red carpet, photos of him upon a stand, a classy video tribute and unleashed plenty of vengeance. He got the crowd amped up as he mentioned the Cleveland Cavaliers and their NBA Championship before he ripped on the crowd for their measly turnout for his celebration. Funny. Miz had the crowd in his hands and then he introduced his parents, which then transitioned to Ziggler’s parents also in the crowd. That brought out Ziggler, who took offense to Miz’s stance. Miz ripped Ziggler for his mediocre career and dropped a key line that unless Ziggler’s career was on the line, he wouldn’t bother with another Title match. Guess what happened. We now had the NM IC Title match as Career Vs. Title. If that doesn’t raise the stakes, we don’t know what will. Miz got the last word, but this was a hot exchange. – Another foggy Wyatt promo as he likened Orton to a mouse in a maze. Whatever that meant. – The WWE SmackDown Women’s Championship will be on the line at NM when Champion Becky Lynch takes on Alexa Bliss. Their feud got some more life when Bliss ambushed Lynch from behind during the Champ’s entrance and left her laid out. The little things like that go a long way. – We learned aside from more Curt Hawkins “facts” that next week he’d make a big “Curt Hawkins Announcement.” Is the world ready? – The Orton-Wyatt feud got its nightly payoff as we finally saw Orton sneak into Wyatt’s fog room as he donned a sheep mask and attacked him. We thought it would’ve been cooler had Orton RKO’d Wyatt from behind while Wyatt stood in the foreground shot. It was what it was though. As for Orton’s rendition of sheep-masked “He’s Got The Whole World In His Hands,” we’re not so sure. Bizarre. – Styles’ backstage promo was last-minute main event hype as he claimed all eyes and ears were on him after the fiery Presidential Debate the night before. He brought up the point that he beat both Cena and Ambrose separately. Fit his overconfident personality. – The WWE World Heavyweight Championship main event between Champion Styles and Ambrose with Cena on commentary was great enough as a match on its own, yet knew just how to push the NM main event without going overboard. Not on the level of their Backlash encounter, but still great. We also liked how Cena played into the finish as the Champ provoked him with a sucker-punch at ringside, which prompted Cena to try to intervene and that nearly cost Ambrose the match the first time. Ambrose got in his own revenge at Cena, but by then, Styles pulled him into a pin where he pulled on the tights. Styles retained, which wasn’t a big surprise. The post-match angle was good since we got to Cena lay both Ambrose and Styles out as he had his moment with the belt. Keeps things tense between the trio and the NM card got more of a boost with this show. Fast, harmless episode besides the Orton-Wyatt nonsense. Posted on November 23, 2016, in WWE and tagged AJ Styles, Alexa Bliss, American Alpha, Becky Lynch, Bray Wyatt, Carmella, Curt Hawkins, David Otunga, Dean Ambrose, Dolph Ziggler, Erick Rowan, Heath Slater, JBL, John Cena, Maryse, Mauro Ranallo, Naomi, Natalya, Nikki Bella, No Mercy, Randy Orton, Rhyno, The Ascension, The Miz, The Usos. Bookmark the permalink. Leave a comment.